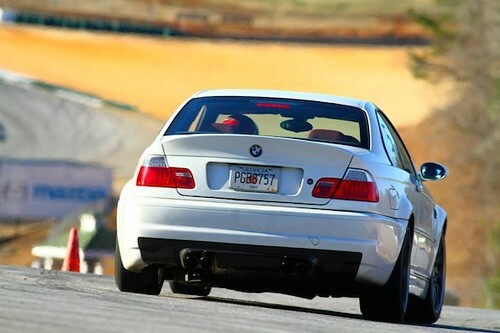 2003 BMW M3 for sale. 6 Speed, Imola Red on Imola Red. Car is a slicktop with manual seats (two semi-rare options). ~59,600mi, two owner, accident free. Car is 100% stock with the exception of the stereo. I purchased the car in 2012 from the original owner with 42k miles. Since then I have put less than 18k miles on it. It has always been garaged. First owner was a retired gentleman who special ordered the car and took delivery at BMW in SC before driving it back to Austin. He had all service done at BMW of Austin (I have all records) including valve adjustment, rod bearing recall, etc. Since I have owned it, I have taken it to an independent BMW shop and done some things myself. The starter and alternator were replaced, I have the originals. The first owner put in an amp/sub in the trunk (nicely done) but had it wired into the stock head unit. I replaced it with a unit that could do line out directly to the amp, which improved quality dramatically. I have the original head unit, which goes with the car. The two passenger wheels have very minor curb rash from the first owner. That is the worst of it. The car does have just under 60k miles, much of them highway, and so it does have some minor wear from road grit, but nothing unexpected for a car with the miles it has. I do drive the car on a weekly basis, so the mileage will slowly go up. Subframe has been inspected several times (when I purchased it, and twice when I was in Dallas) with no issues found. I have had no Vanos issues to date, but it was on my "to do" list if I don't end up finding a buyer. The tires have tread, but are older (2012-2013 vintage). They are fine to drive on, but assume you will need tires at some point in the future. Price: $25000. I haven't had a chance to fully detail it this spring and take "fresh" pictures (between the rain and the pollen here, it has been horrendous). I will get fresh pictures up, but nothing has changed except for probably 2000mi since then. I welcome any questions. Title is in hand, and I have a Carfax attached (it is from a little while back when I had an "all you can eat" account and ran one for the records, but you can feel free to run one yourself, always encouraged). I am happy to let anyone have a third party inspection done. I prefer direct email, ryan.m.couture@gmail.com over PMs if you have any direct inquiries for purchase as it is easier for me to access. Car is located in Bellingham, WA. Last edited by ryan21186; Mon, May-07-2018 at 07:12:24 AM. Always nice to see IR/IR. Why are you selling? My commute is now 80mi/day and I can't justify doing that to this car, so it sits. I have two other vehicles, and I have made a point to drive it weekly just to keep it active. I absolutely love it, I get a grin every time I get behind the wheel, but I feel guilty seeing it sit while I drive the Z3 and truck. I want it to find a good home! Love this way this thing is optioned. Perfect! Wish I could swing this! GLWS! I replied to all emails I got so far, if you sent one and I did not, PM me! Now have shots of the undercarriage for any prospective buyers. All times are GMT. The time now is 05:44:39 AM.